A New Venture of Faith for God! News Flash! 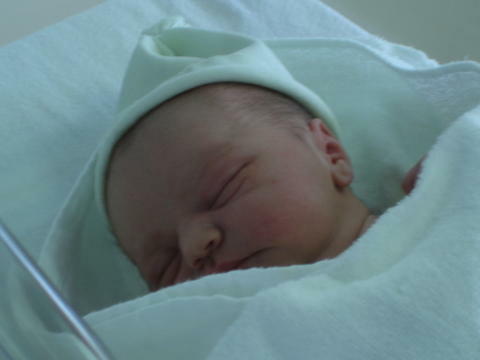 Ethan Phipps is born! The adorable bundle of Joy. 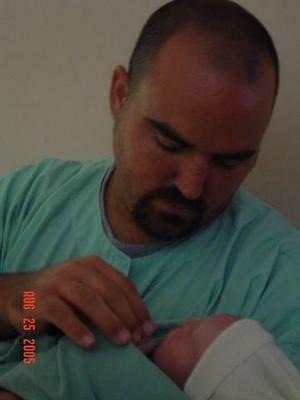 Ethan Phipps, he was born August 25th at 7:00am in Okinawa. He is 7lbs. 13oz, and Glenn and Farah are the happiest parents in the world. 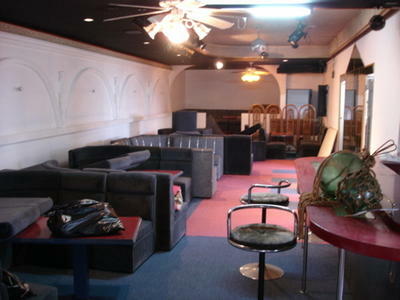 If you would like to see some of the pictures, click onto http://photos.yahoo.com/babyethanphipps. We will post more picts in the days to come, so check back with us often. Also, please drop a comment and greeting below for Glenn and Farah to read. 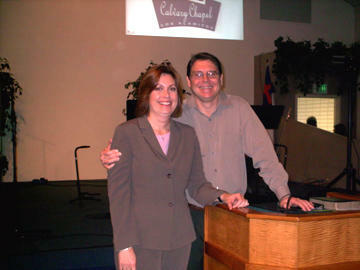 Many of you have not had the opportunity to meet Pastor Travis and his wife Dawn. (they are pictured right in the middle of the photo). Pastor Travis originally came from CCHonolulu in Hawaii. 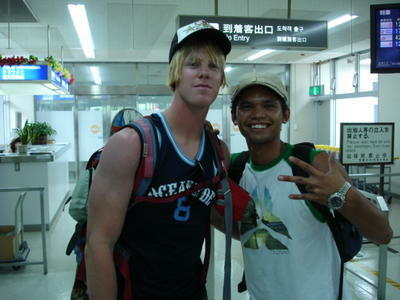 About 4 years ago, he heard the call of God to leave Hawaii and head up to Japan and start a new work for the Lord. 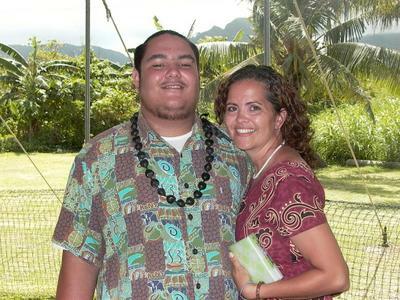 Pictured to the left is Rich and his wife Candice, who also left Hawaii and joined Travis in the new work. These two men are a real blessing and love the Lord with all their hearts. 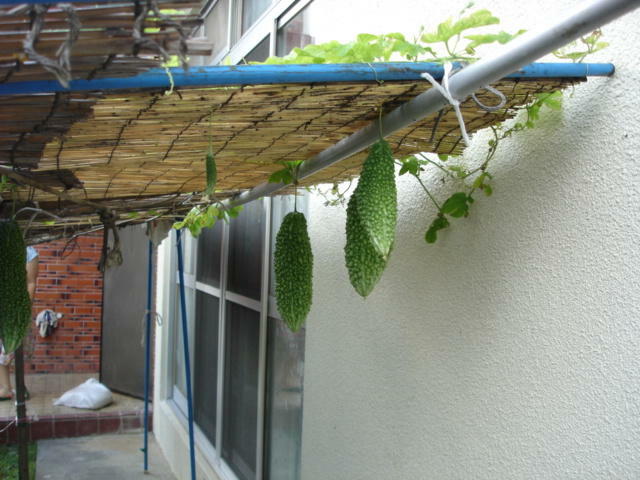 This picture was taken up in Nagano near the river, as they spent the day relaxing in the Lord. Check out Rich's fresh shorts, Hawaiian style. Please contine to pray for Pastor Travis and all the people at CCTokorozawa, God is doing a great work there, and we look forward in anticipation on what God will do in the future. 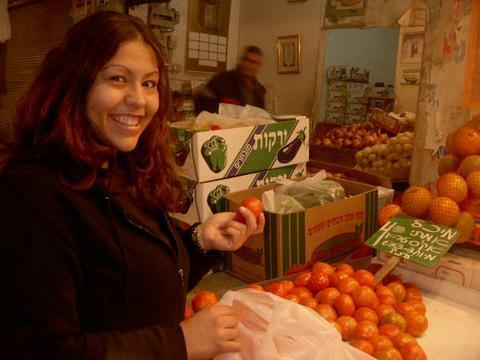 This is a picture of Rosie last year in Jerusalem in the outdoor market. I am sorry, I do not have a recent photo of her, because she has just arrived back in the Holy Land. God is so faithful! It is a blessing to see God provide for her ticket back. She has recently emailed me, and gave me a prayer request list that is too long to list here. But if you can, please email her at bergyavila@hotmail.com and she will put you on her email list. Please continue to pray for her, as she will have a busy semester ahead of her. We plan on visiting her in March. So, if you would like to join us for the ministry tour to Jerusalem, start saving your shekels now. This past weekend we had the opportunity to travel to a neighboring island in Okinawa. This island is only accessible by boat, which takes about 30 minutes from Nago, which is in Northern Okinawa. 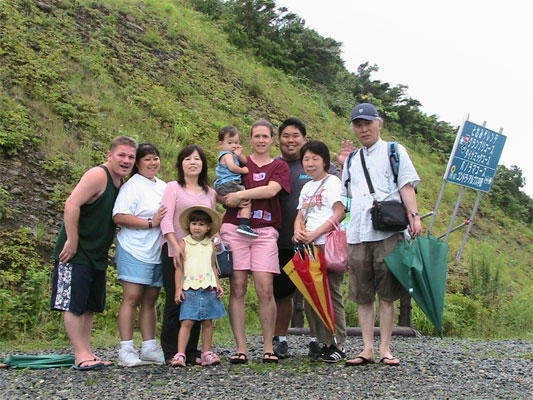 Tim Newell a few weeks ago was invited to serve with another youth group on Island, and he felt the need to come back to Iejima and do some follow up work with the church. We had a blast, there were 11 of us who went, and we served by doing children's ministry, youth ministry, yard work, and general church ministry. If you would like to see some more picts please click onto http://photos.yahoo.com/iejimamissions. Also, you can click below and hear an audio blog from Pastor Tommy. God bless you all. Praise the Lord! Joanna arrived back safe in Okinawa. 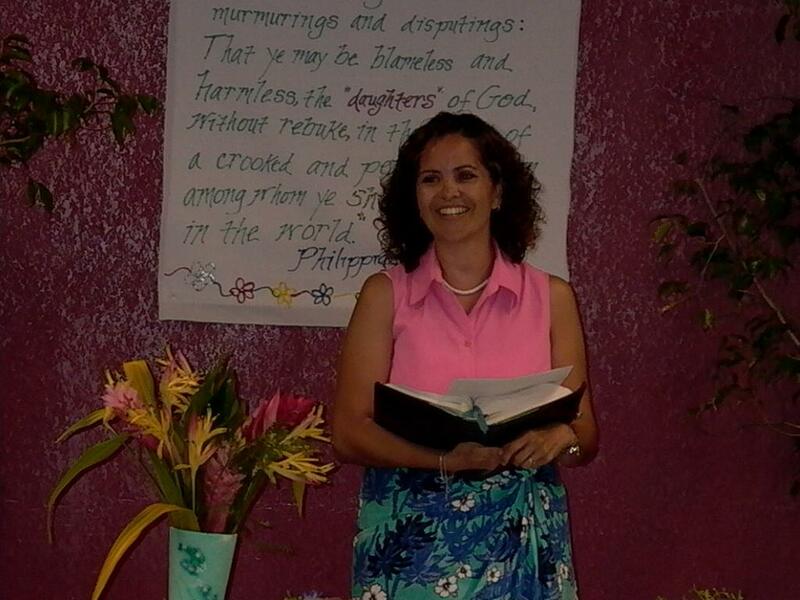 She had a long great trip, filled with wonderful stories, and blessings of the great things that God is doing, and will continue to do in Samoa. I am in the process of uploading the pictures. There a many of them, so it will take time. When you get a chance, please click onto http://photos.yahoo.com/samoatrip2005 to see them. What the Lord will do next, we don't know. But we know that He is still moving and the Lord will direct our paths. 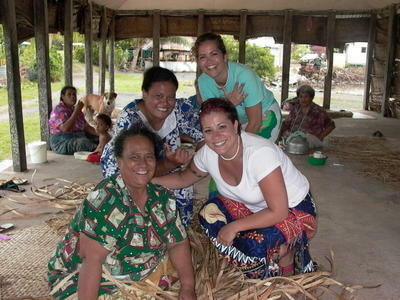 While in Western Samoa the gals were able to hang out and visit some of the local women in the village. 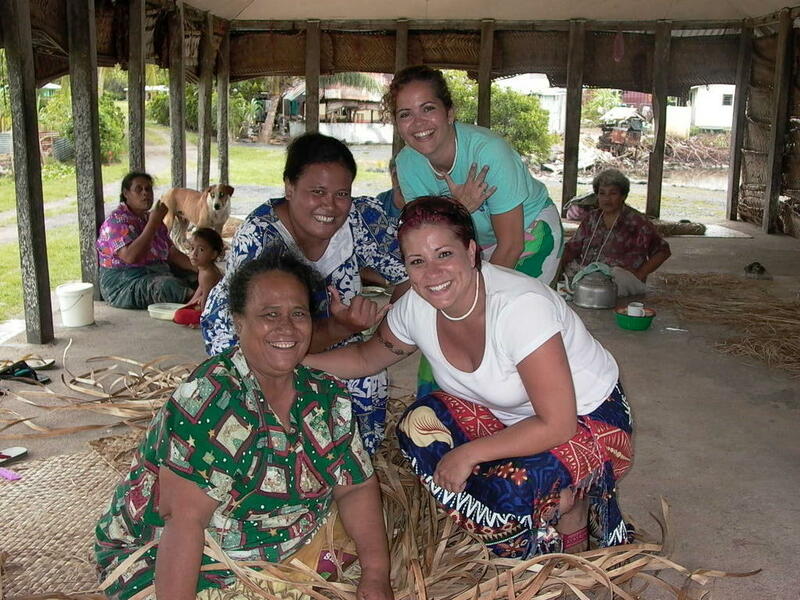 Pictured here are some of the ladies who gather in the Falas (outdoor tents) and make floor mats and fine mats. The floor mats are for what you would think, for the livingroom floors, but the fine mats are made for special occasions, like when guests and family arrive. In the older days, they did not have money, so they would trade using the fine mats as currency! The ladies in the picture we excited to have their picture taken. It was real interesting some of the things Joanna told me. She stated that when they visited these small villages, some of the children were real shy. 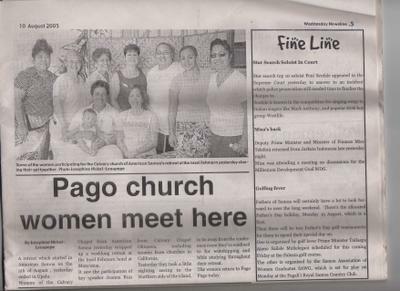 For some of them, this was thier first time seeing "Palagi", people who were not Samoan. The Lord used these ladies in a powerful way. Little Cody is now Big Cody! For you older missionaries who went to Samoa 5 years ago. You might remember little Cody. Well he is not little anymore, and he is now driving. It is incredible to look back and remember him running around while we were doing the VBS. 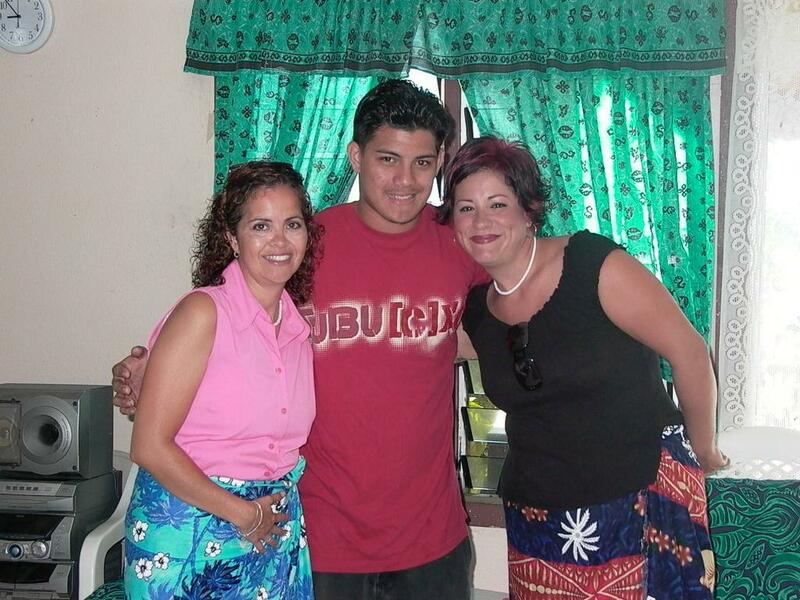 I know that this picture is special to Pastor Cisco because he remembers hanging out with this kid. Please continue to pray for Cody and all of the youth back in American Samoa. Many of them are a lot older and in College now. 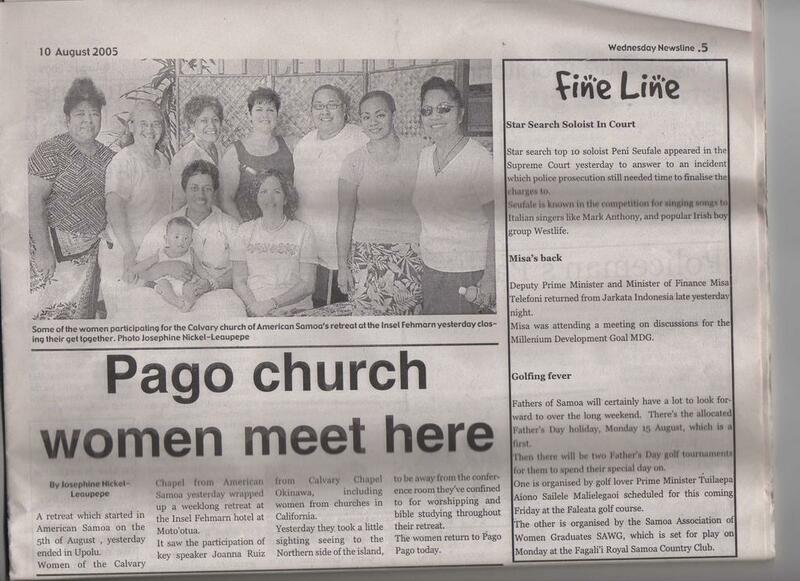 The ladies in Samoa made news in the local Samoan paper. Pictured above are some of the ladies from CCSamoa, and as you can see, Joanna is in the lower middle and Rebecca is in the upper middle. Monique is MIA (missing in action), the lady from the paper just showed up and took the picture. 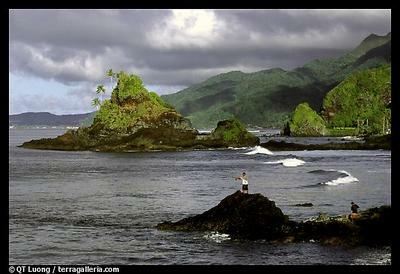 God did a wonderful work in Samoa, and the gals were blessed to just be a part of it. 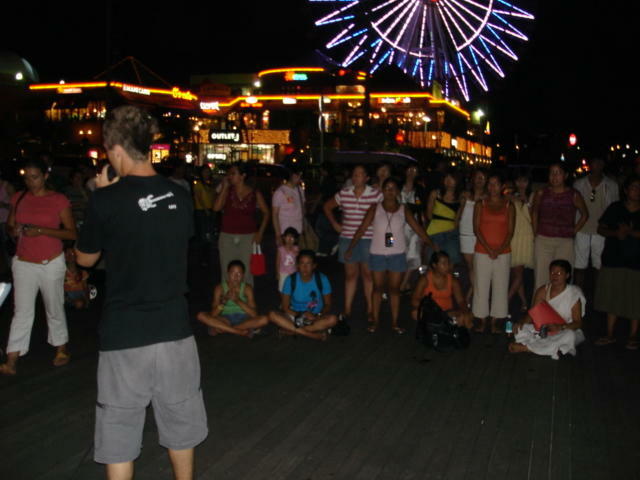 The team from CCMontebello is here in Okinawa for a few days, and as they were here, we did some ministry at Mihama. 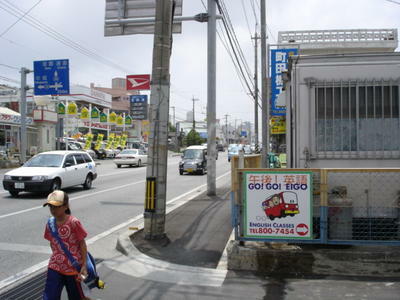 For some of you who don't know where Mihama is, it is located in the heart of Okinawa on the westcoast of the Island. 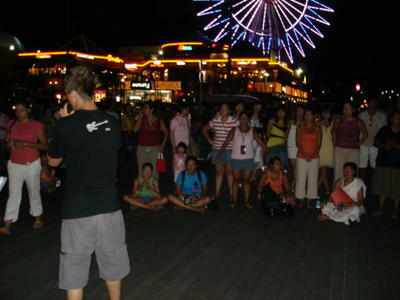 It is called Mihama American village. There are a lot of shops and places to eat, kind of like Seaport Village in San Diego, California. We played the music on guitars, did some drama, and shared the Word. It was a blessing to shine the light of Jesus Christ. Please pray for the team from Montebello, they are heading next to Osaka Japan to visit and minister with Aaron Deleon. Joanna is gone in Samoa, so we have to experiment in dinners. The kids have been getting the usual, spagetti, curry, rice. Well the next door neighbor, our japanese fisherman, came over with some clams. Last time he brought us clams they went bad. We did not know how to cook them. So this time, I headed straight for the internet and checked out how to cook'em. So we experimented, and they came out great! 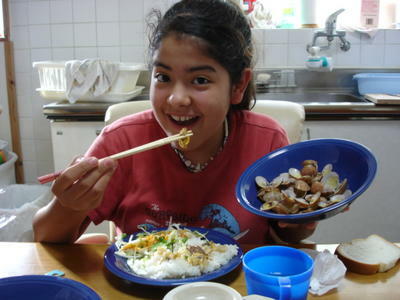 Pictured below is Hannah, my oldest daughter eating clams, rice, and salad, yummy! Pray for me, Joanna will be back in a week and I am running out of cooking ideas. The women's conference has begun and they are blessed. At the time of this writting they have already finished two of their sessions, but they have a few more days to go. Joanna said that they are having a great time and the Lord is doing a good work in all the ladies. If you notice to the left of this picture you see a vase with flowers. That is one thing that I love about Samoa, the tropical flowers. Forget the florist, just go outside and pick the most beautiful flowers that you have ever seen. Monique is having a wonderful time, fitting in well. For Rebecca, it is a good homecoming, being back in Samoa. Praise the Lord! They are in Samoa and blessed. 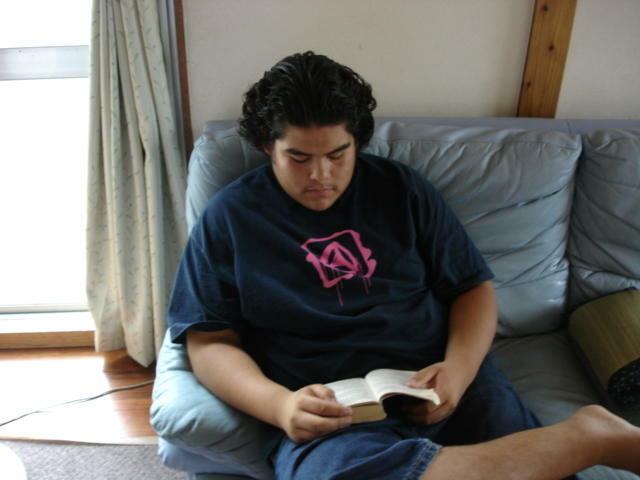 Some of you might rememeber Sepha (Joseph) he visited California a few years ago, but now he is all grown up. Sepha will be joining the army soon. Joanna said that it was such a blessing to see him and many of our Church family. This picture was taken at Mary's house in Avo. 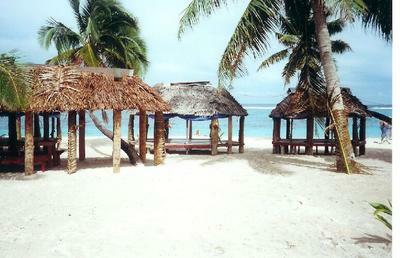 Some of you might remember the village of Avo, it is located right near the beach overlooking the ocean. Beautiful place to seek the Lord. When the guys stayed there, we would all get up early and do our devotions on separate place on the beach or near the coconut trees. Great memories! Your'e in our prayers girls, keep up the great work for God. It is a real blessing that Segmon and Rob are heading out to Okinawa to attend CCBC and to help in ministry here on the island. Everyone already knows Segmon, and pictured here to your right is Gabe (aka "spin master"). Well, Rob is pictured on the left. Sorry everyone, this is the best picture that I could get of him. I took this off the internet from Jon Horne's picture album. 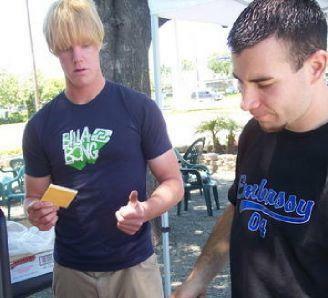 Pictured here are the guys cooking in June for the Father's day bar-b-que. Please continue to pray for Segmon and Vunder as they prepare to come at the end of this month. They are saving money and Vunder is selling his car. God bless you guys, Godspeed, and may the Lord direct your path. 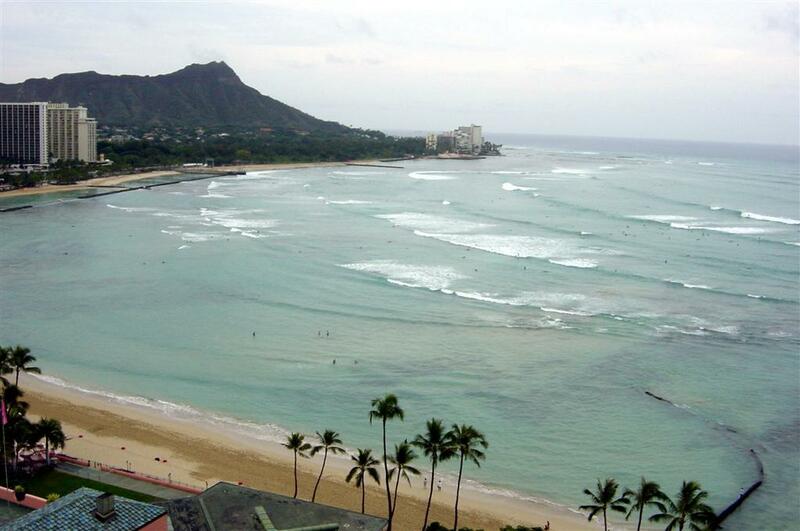 The gals have arrived safely in Hawaii and are on their way to American Samoa. Joanna has emailed me and sends everyone her love. She has been spending a lot of time in prayer and preparation for the Women's conference and asks that you would continue to keep them in your prayers. She knows that God wants to do a wonderful work on this trip, and is looking forward to God using them in an incredible way. So Joanna, Rebecca and Monique, we want to say that we love you and will continue to lift you up in prayer. God bless you, as you serve Jesus oversees. Thanks again everyone for turning back to the e3missions website. This is the prayer requests for this week here in Okinawa. May the Lord continue to bless you as you serve Him everyday. We cannot express to you the thanks and importance that your prayers mean to us. We know because you are praying, the hand of God is guiding and leading us. Please click below to hear the audio blog from Pastor Tommy. Hi everyone. She left today from Okinawa, heading to Taiwan, and then will fly directly to Hawaii. In Hawaii, she will meet up with Rebecca Gawryl and Monique Salazar. From Hawaii, the three of them will head off to American Samoa where they will be teaching and leading worship for a Women's retreat in Western Samoa. Whew! That was a lot of explanation, to say, please keep them in your prayers. It is so awesome and a great privelege to see the Lord use these gals in such a wonderful way. We are expecting great things from these gals, as they step out in faith for Jesus Christ. Typhoon Matsa on its way! Typhoon Matsa is on its way. We were told that it will hit us on Wednesday the 4th of August. 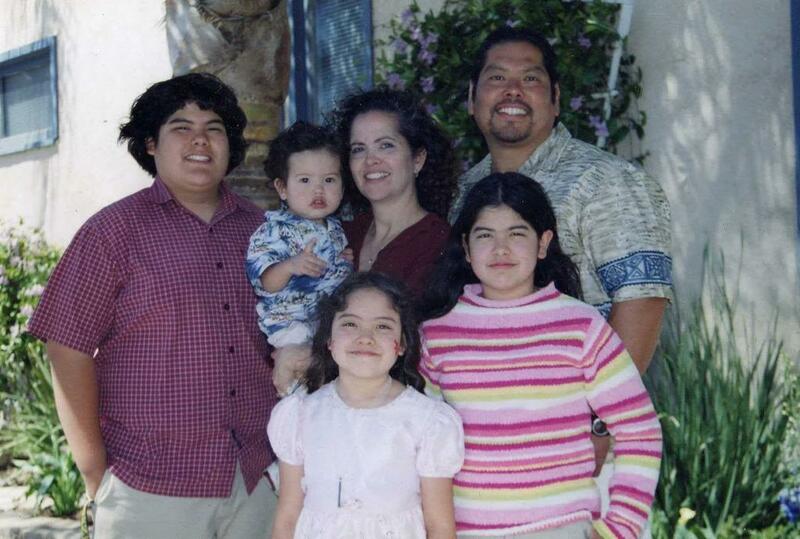 Joanna leaves tomorrow for Samoa, Pastor Rick and Alvin leave for Guam that same day. So they should miss the system. It looks like it will be passing close by us, but sometimes these typhoons take a different course. (Click on the picture to get a closer look) Typhoons are a way of life over here in Okinawa. In fact, if you see the picture, this area of the world is know as "Typhoon Alley" because they usually pass right between Okinawa and Taiwan, as they make their way pass China and up to Korea and Mainland Japan. Like always, please pray for the safety of all people in these countries.